THE READERS RAG: "THE DEVIL MADE ME DO IT! ": THE UNKNOWN KILLER IN C.J. OMOLOLU'S "THE THIRD TWIN"! "THE DEVIL MADE ME DO IT! ": THE UNKNOWN KILLER IN C.J. OMOLOLU'S "THE THIRD TWIN"! 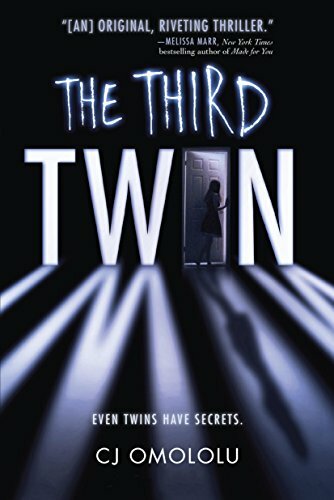 I took an interest in "The Third Twin" by C.J. Omololu because I saw a teenager reading it and I was intrigued. Yes, that's what I do here in Barnes & Noble. I go around book stalking people to find out what they are reading and then I go read the books myself. It can be a really creepy thing to do. Like you will see a perfectly happy person absorbed in a novel and then you rudely interrupt him or her with demands that they tell you what they are reading. It's even worse when you are trying not to bother the person, but you can't see the cover very well so you keep on peering at them, or peeking at them from different angles to see if you can find out the title of the book without having to bother them. Finally, they just look up and catch you staring because they pick up your vibrations out of the air! You can see I've done this a lot. I'm just one of these loud, intrusive people that hangs around the bookstore accosting people. "The Third Twin wasn't hard to identify because it has a stark black and white cover with the title written in very large white print on a black background, so it's hard to miss. The cover design was done by Allison Nading and it's not badly done. This book is a family drama about members of the family keeping secrets from one another. Going along with the theme, Ms. Nading replaces the "I" in the word "Twin" with a young teenager pushing open a bedroom door as if eavesdropping on a secret. The letters of the title flood the front page with light that struggles to penetrate the darkness and does not quite succeed. The two words "The Third" are written is scraggly print to evoke a sense of murder and mayhem, while the word "Twin" underneath is shaped like a more redeemable square, solid print implying that we'll find some traction somewhere. Just in case I didn't convey the information properly, this book is a murder mystery, suspense, thriller type book. The plot goes something like this. The twins Ava and Lexy have always interacted with their imaginary friend Alicia, eventually using her identity to go out and date guys they'd ordinarily not go out with. It all seems to be one great big party until one day a guy "Alicia" has dated turns up dead with the twin's DNA on him. It isn't long before police detectives show up at their door and the evidence begins to mount up against the twins. Is one of them a murderer? Each fears that the other is the murderer, and each insists that she is innocent. What is the truth? Read and find out! It is with great sadness that I now have to report that C.J. Omololu died of cancer a year ago. As I write about authors, I investigate who they are and get a little background on them, and this is what I discovered. Still, you can get a sense of what an interesting person C.J. was by going onto YouTube and listening to some of her talks which she prepared for the young kids that she mentored in her free time. Clearly, C.J. was a loving, kind and giving individual. Ms. Omololu was married and had two sons and lived in the San Francisco Bay area. She was represented by Sarah Davies of the Greenhouse Literary Agency, a company that does business in both America and England and prides itself on nurturing budding young talent. The book "The Third Twin" was published by Ember which is a registered trademark of Penguin Random House. Overall, I found the book a very absorbing read and it gave me several hours of pleasure. I was fairly critical of the idea of teenagers going to nightclubs and parties, drinking, having a good time and hooking up with random boys. That's not my schtick as you know. Of course, I'm an old lady and probably shouldn't be reading YA novels and passing judgment on young people! I will also say that initially I was offended that Ava and Lexi want to playact that they are Alicia so they can date young men they don't think are good enough for them. That seems really snobbish to me and it does seem as though they are playing with these guys. On the other hand, as I continued to read more, I began to see this story as representative of a spiritual journey these two girls were taking as they began to come to terms with their darker selves. Bringing the "Alicia" side out into the open is a necessary part of teaching them who they really truly are and what they actually value and will not compromise on when their circumstances become extremely difficult. From that aspect, this novel does a skillful job of assisting these two young girls in becoming deeper, more authentic, and wiser human beings. Finally, the book moves forward at a rapid pace with snappy dialogue and hair raising situations that will keep you on the end of your seat. Let me say along with other reviewers of "The Third Twin" that I was totally surprised by the ending. 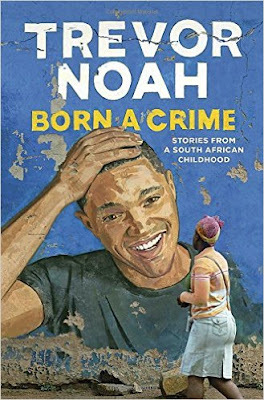 You will not be disappointed if you go out and get this book.